Paros Island, the third largest of the Cyclades, has developed in recent years into an important center of tourism, becoming that way a world fulfilling everybody’s dream oParos Island, the third largest of the Cyclades, has developed in recent years into an important center of tourism, becoming that way a world fulfilling everybody’s dream of the ideal holiday on an Aegean Island. Gently rolling hills, dotted with small churches, chapels and monasteries, surround the center and southeast of the island, locking within themselves the famous Parian marble. 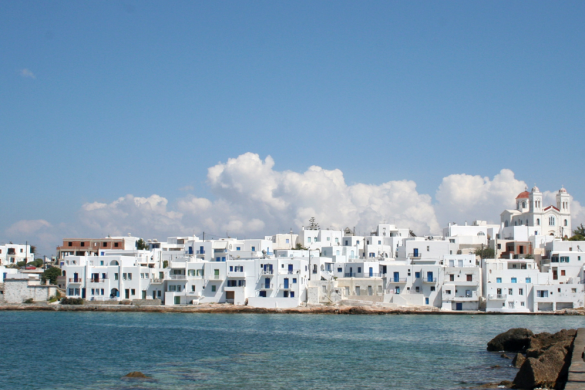 Endless sandy beaches with sparkling blue waters, small inlets and two large bays, those of Parikia in the west and Naoussa in the north form Paros’ indented coastline. 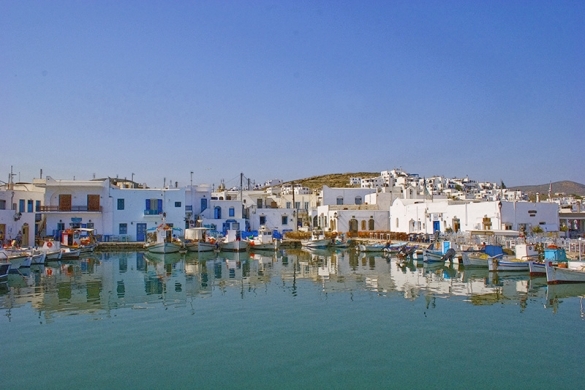 Interesting sights, famous monuments from the island’s rich ancient and medieval past as well as picturesque white villages bathed in the unique, dazzling Aegean light are some of Paros’ dominant attractions. All this along with warm hospitality -combined with a professional but friendly service-, excellent tourist infrastructure, rich cultural life, and the possibility to enjoy –according one’s mood- either a very vivid, cosmopolitan way of life or a feeling of seclusion justify Paros’ becoming one of the most popular tourist destinations in Greece worldwide. It’s up to you now to discover Paros, explore it and find out how many more surprises this magnificent island holds!f the ideal holiday on an Aegean island. Gently rolling hills, dotted with small churches, chapels and monasteries, surround the center and southeast of the island locking within themselves the famous Parian marble. 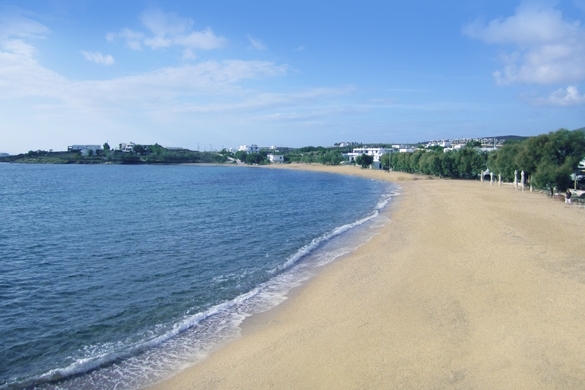 Endless sandy beaches with sparkling blue waters, small inlets and two large bays, those of Parikia in the west and Naoussa in the north form Paros indented coastline. 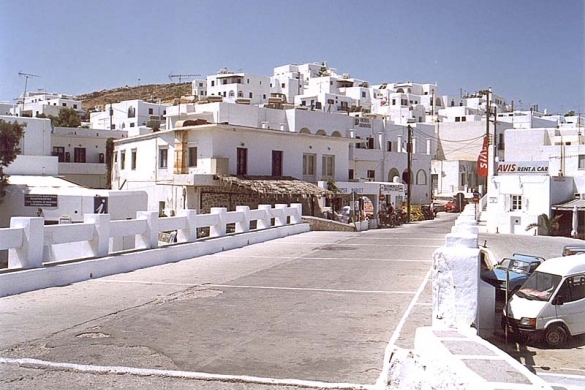 Interesting sights, famous monuments from the island’s rich ancient and medieval past as well as picturesque white villages bathed in the unique, dazzling Aegean light are some of Paros dominant attractions. All this along with warm hospitality –combined with a professional but friendly service-, excellent tourist infrastructure, rich cultural life and the possibility to enjoy , according one’s mood, either a very vivid, cosmopolitan way of life or a feeling of seclusion justify Paros’ becoming one of the most popular destinations in Greece worldwide. 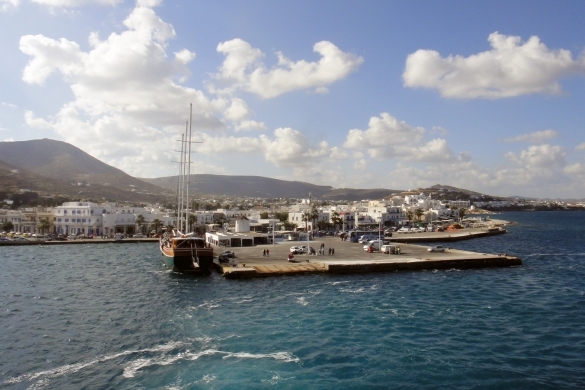 It’s up to you now to discover Paros, explore it and find out how many more surprises it holds for you.